Mercy Machine : The Devil I Know - The Remixes. 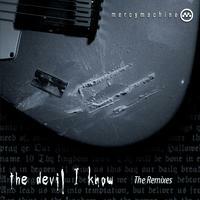 "The Devil I Know: The Remixes" is a remix concept based on Mercymachine's last release, "The Devil I Know", which tracks an imaginary priest's descent into chaos. This fictional character is a tragic figure, yet not without faith or merit. Remix artists from around the world took turns interpreting his allegorical descent from the basilica to the Bowery, and eventually to the abyss. Highlights include Q Burns Abstract Message (The Devil I Know - Ticking Clock Mix) and The Man I Create (Gabo - Tuscan Devil Mix). License Introspective avant-pop songs by Mercy Machine for your project. Play the music of Mercy Machine in your restaurant or store.